Warm summer days, plenty of sun and fun. Along with the pleasure of basking and splashing in your favorite bikini comes the not-so-pleasant summer task of preparing and maintaining yourself for swim wear. Yes, the dreaded bikini zone. but contending with it can be...a pain, in the "zone" and to your budget! Between the pool and our love for all things aquatic, the That's What She Said gals were thrilled to be introduced to the wonderful product line from Bikini Zone! With products specially created for a women's sensitive needs, Bikini Zone offers solutions for hair removal, bikini bump busting products and anti-bump shave gels. One of our favorite products of the Bikini Zone line is their Anti-Bump Shave Gel, which comes in both regular and sensitive formulas. The Sensitive formula is created with a women's skin in mind, utilizing natural extracts and vitamins to keep your skin smooth and pain free throughout the swim season, preparing your tender areas before shaving. Our bikini crew also appreciated the Bikini Zone Creme Hair Remover. Again, created with a woman's sensitive skin in mind, the Creme Hair Remover worked both quickly and without after burn. While some areas may become irritated by regular shaving with a razor, the Creme Hair Remover offers an excellent alternative. Works in just four minutes! Already into swim season and damage already done? Bikini Zone has a solution! With three different products designed exclusively to combat existing bikini zone bumps, you'll find soothing, quick relief! Our favorite was the Medicated After-Shave Gel which we found to work VERY quickly to soothe what was ailing us. As they say, knowledge is power, to battle the bumps! We loved all the information available on the Bikini Zone website. Bikini Zone is offering my readers a chance to win a full-sized Medicated After Shave Gel! To be eligible to enter this giveaway, you must publicly follow That's What She Said via Google Friend Connect (left sidebar). This giveaway is open to residents of US, 18+ and will end on Saturday, August 27, 2011 at midnight, EST. The winner will be selected randomly from all eligible entries and will be notified by email. The winner will have 72 hours to respond before I must move on to a runner up. Please leave you email address, in anti spam format, in your first entry comment so I may contact you if you are the winner. If you email address is accessible via your comment name, this is not necessary. You must publicly follow That's What She Said via Google Friend Connect (left sidebar) to be eligible to enter this giveaway. For Mandatory Entry, please visit the Bikini Zone website and tell me in a comment which product you'd love to try, something you learned there or some method of hair removal you tried that didn't end so well! IF YOU ALREADY LIKE, FOLLOW, ETC, PLEASE TAKE THE ENTRIES. * Like Bikini Zone &/or That's What She Said on Facebook. Leave a comment with your Facebook name. 1 entry for each. * Follow That's What She Said (tsue1136) on Twitter. Leave a comment with your Twitter name. 1 entry. * Tweet about this giveaway. Tweet must include a direct link back here. Leave a comment with a link to your tweet. Limit of 3 tweets per day. 1 entry per tweet. * Share this giveaway in some other manner. Anything goes as long as it includes a direct link back here. Leave a link to your sharing in your comment. No limit on sharing. 5 entries per sharing. * Enter any of my other active giveaways and leave a comment letting me know which. 2 entries per additional giveaway. * Subscribe to That's What She Said via email or RSS subscription (left sidebar) or atStumble Upon.Leave a comment with your applicable name. 1 entry for each method. * Subscribe to the Bikini Zone newsletter. Leave a comment here with applicable name. 1 entry. * Put my button (left sidebar) on your blog or site and leave a link in your comment so I can find it. 2 entries. Congratulations to Lauren Snaps, comment # 35, courtesy of Random.org! On behalf of Bikini Zone and That's What She Said, thank you to all entrants for following and participating! I was provided with Bikini Zone products to explore for the purposes of creating this feature. Images and information sourced from various Bikini Zone sites. Beach Image. The opinions above are both honest and my own. Sponsor is responsible for supplying and shipping prize. Facebook is not responsible for nor involved in this giveaway in any fashion. 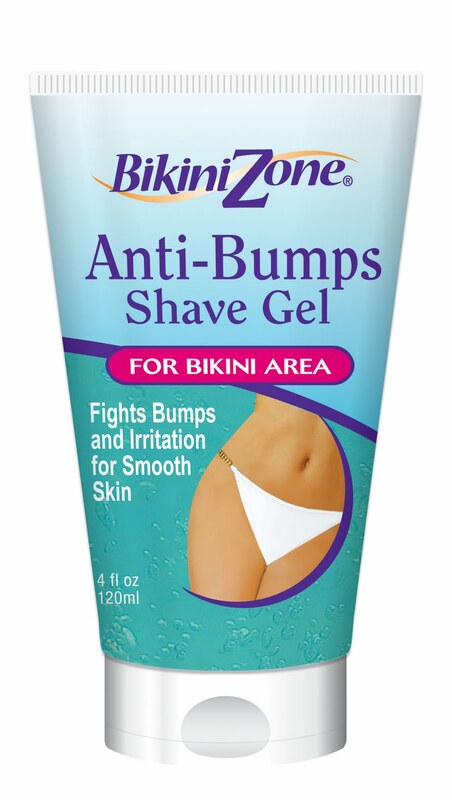 I would love to try the Bikini zone anti-bumps shaving gel. I just shaved my bikini area over the weekend and really could of used this product. I would like to try the creme hair remover! I would LOOOOOOVE to try any of the Bikini Zone After-Shave Treatments. I would love to try anti bump shave gel. I learned that Bikini Zone® Microwave Wax or Wax Strips are strong enough to remove stubborn, course hair while being gentle on sensitive skin. Subscribed to the Bikini Zone newsletter. nair didn't go so well when i had an allergic reaction to it and my skin started burning. never again! I tried using Nair one time and it ended up making my legs burn and the little pores on my legs all started bleeding! I like the Bikini Zone on FB. Samantha M.
I like That's what she said on FB. Samantha M.
I'm a GFC follower :) I've tried waxing before and it left my skin way more irritated than from shaving and the irritation lasted for a really long time!